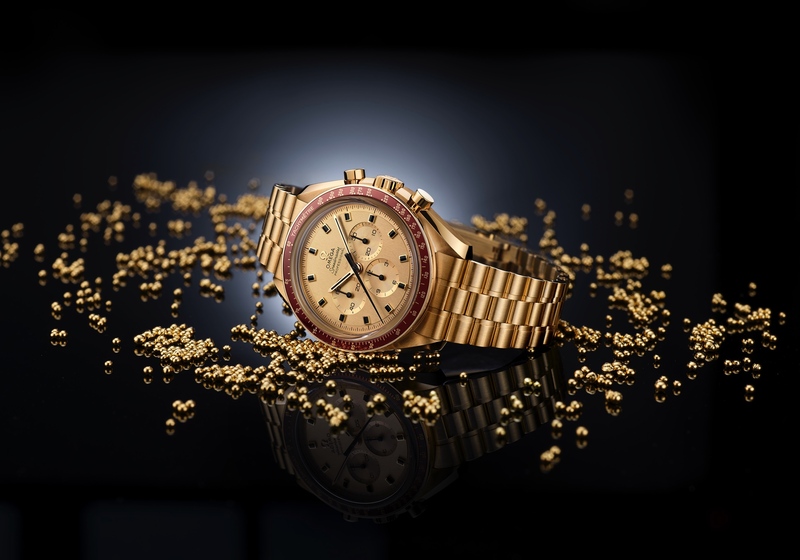 Celebrating the 1-year countdown to the PyeongChang 2018 Winter Olympics Omega unveiled two special countdown clocks globally in Seoul and New York along with a new limited edition commemorative Seamaster Planet Ocean timepiece! 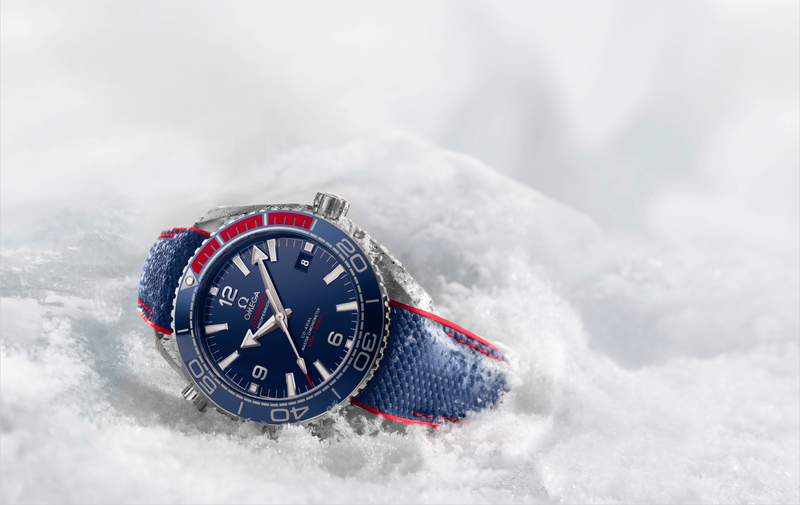 The Seamaster Planet Ocean “PyeongChang 2018” Limited Edition is limited to 2018 pieces and features a blue and red colorway, the same colors of the Korean flag, and a special engraving of the Olympic Winter Games logo on the sapphire crystal case back. 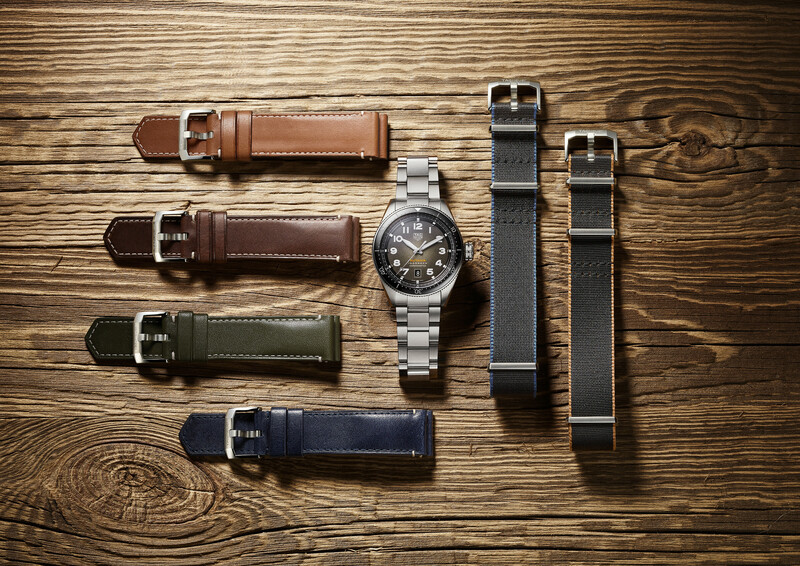 Also, worth noting, the watch is certified Master Chronometer by METAS, the Swiss Federal Institute of Technology. TAG Heuer is the official timekeeper of Manchester United soccer, and as a result of the partnership the La Chaux-de-Fonds- based watchmaker has created a pair of chronographs in black and red, and bearing the Premier League club’s logo on their dials and backs. The Carrera Heuer-01 Calibre Manufacture Chronograph Manchester United Special Edition is based on TAG Heuer’s bestselling mechanical chronograph and features a 45 mm steel case with a matte black coating, as well as a black ceramic bezel. Inside is the self-winding Calibre Heuer 01. The second timepiece is the Formula 1 Chronograph Manchester United Special Edition, and entry level sports watch in a 43 mm stainless steel case that features a matte black treatment and is powered by a Ronda quartz movement. Laurent Ferrier has created a 10 piece limited edition version of the Galet Square for their retail partner, Swiss FineTime, located on Walton Street, in downtown Chicago. The Galet Square Walton Street Swiss FineTiming Limited Edition has a two-tone red gold-hued sector dial typical of the late 1930s with lugs designed for Swiss Finetiming. Furthermore, the design reflects an Art Deco feel consistent with the architecture of their Walton Street boutique. 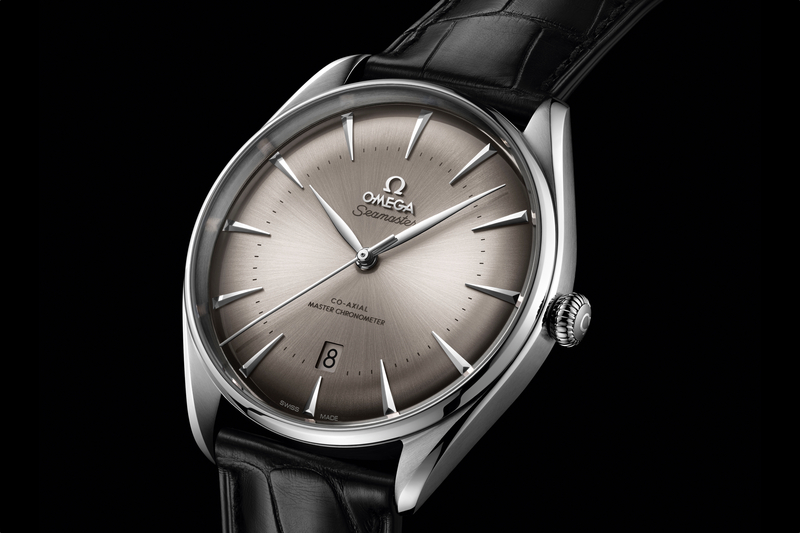 Furthermore, this special edition has a sector dial with that is divided with an outer circle that has a circular satin-brushed finish and a central zone with a vertical satin-brushed finish lends the dial this two-tone effect. The space is marked with an anthracite nickel and delicately accentuated raised chapter ring featuring curved markers paying a distinctive nod to the brand’s iconic drop-shaped hour-markers. This new red gold colored dial is punctuated by anthracite nickel Breguet type numerals at 9, 12 and 3 o’clock and an applied chapter ring with a round cabochon cut finish, polished manually offering a beautiful volume effect and focus firmly on readability. The outer rail is complemented by anthracite painted Breguet numerals.